You had a great idea, and you’ve built a viable business model around it, but getting the word around about the products and services you have on offer can prove to be quite challenging. With the use of social media, you can reach out to a greater number of people in lesser time. If you invest effort in social media management consistently, platforms like Facebook and Twitter also help you establish a relationship with your buyers. Sure, continuous interaction means there may be instances when disgruntled customers diss you on social media. Instead of being scared away by the possibility, you should focus on having a crisis control strategy in place. Respond to negative feedback immediately and make it up to your customer. Good deeds on social media give you double the mileage – you can not only reconcile with an unhappy customer, but also reassure the others that you’re listening to them. Building a strong social media presence is an imperative for startups in the digital age. Here are a few tools that will come in handy. Sometimes, business correspondence via email can be tricky because there’s only that much you know about the other person. 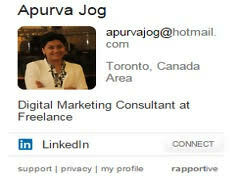 Rapportive fills this information gap by connecting your Gmail account to Linkedin. The tool comes as a free plug-in for Chrome and extracts a person’s Linkedin profile to display the information within your Gmail window. DrumUp is a smart content discovery tool that scours the web for relevant content based on the keywords you input. The tool acts as a central dashboard for your Twitter and Facebook profiles, letting you manage multiple accounts simultaneously. 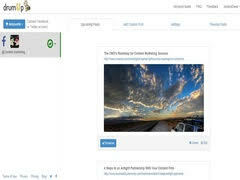 It allows you to choose from a list of suggested content, edit and schedule posts, and also add custom posts to the queue. If you’ve used any social media platform or have been tracking the social media space, you know that visual content receives a higher rate of engagement. However, you’d think that creating visual content is a time-intensive task. Easel.ly makes you think again. 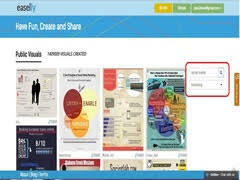 The tool offers ready-to-use infographic templates that are categorized by subject. All you have to do is choose from their list of categories and search for a specific subject. 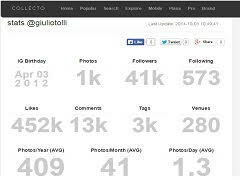 A dedicated tool for Instagram, Collec.to lets you manage your photos, organize them into albums, run contests to promote your brand and get statistics on the effectiveness of your campaign. It also gives you statistics for your profile, as well as others’ who you follow, provided they are subscribed to the tool. With Canva, everybody can be a designer. The tool offers image templates and editing options to create a wide range of visual content, including Facebook Cover Photos, Email headers, Youtube Channel Art, Photo Collages, Twitter headers, Ads, Presentations and more. It also offers design tutorials to help you hone you artistic abilities. 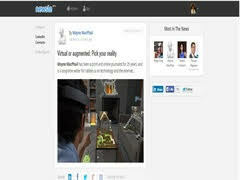 Newsle is a monitoring tool that can be used on several social media platforms including Linkedin and Facebook. It tells you who among your connections, both on email and social media, are most in the news. This essentially means that you can track mentions of you professional acquaintances, competitors and peers. Each of the tools discussed here offer a unique functionality and together make for a powerful social media arsenal. Given that all of them are free, you’ve got no excuses to put off trying them out to see how they can boost your social media presence. Jessica has a keen interest in social media and content marketing and writes extensively about it. 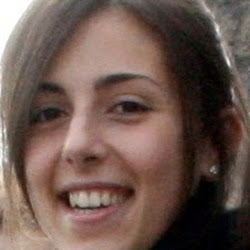 She represents Godot Media, a leading content marketing firm. How Can Social Media and Content Marketing Automation Boost Your Outreach Effort?